Eloqua is Oracle’s business-to-business (B2B) marketing automation software that combines demand generation, email marketing, and lead management in a single platform. Its features include targeting, segmentation, campaign management, and more. In this article, we cover Eloqua reviews and pricing. Ready to get started? Visit its website. 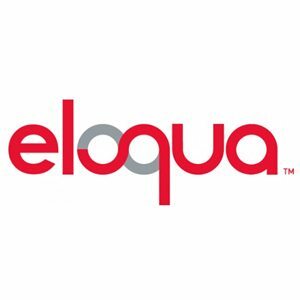 Users who gave Eloqua a positive review said that it can perform a wide range of marketing automation functionalities that include campaign management, sales, and more. They added that it has seamless integration with third-party apps, particularly with customer relationship management (CRM) platforms. Users who gave Eloqua a negative review complained that its HTML editor is difficult to use. They also mentioned that its customer support team was slow to respond. Eloqua pricing is not readily available on its website. However, according to a third-party site, it offers three subscription options. The Basic Plan is $2,000 per month while the Standard Plan costs $4,000 per month. An Enterprise plan is also offered at customized pricing. 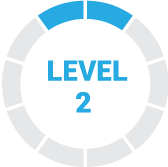 Ready to get started with Eloqua? Visit its website. How can Eloqua users personalize their marketing campaigns? Eloqua can help users personalize their marketing campaigns through its ability to track customer behavior, sentiment, and preferences across different channels. The platform’s real-time insights can also alert users for buyer triggers. How can Eloqua users evaluate their marketing campaigns? Eloqua has customizable dashboards that display interactive reports. Users can customize these reports to show metrics that they are already using for their business model. Have you read these Eloqua reviews and are still not sure if it’s the right fit for you? 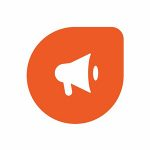 Read our reviews of all top marketing software or check out one of these three Eloqua competitors. Oracle Eloqua is a great all-round Marketing Automation tool for Medium to Large companies. One of the tools which tries to cover all areas, as well as Integration with all types of other platforms like Salesforce / CRM on Demand. Companies should be well guided in the use of Marketing Automation as a whole, not only assisted during the implementation. It really takes getting acquainted with the processes before companies can reap the benefits of real Marketing Automation. It is easy to use for users with a technical/HTML background but difficult to master. In terms of pricing, It’s one of the more expensive solutions but also one of the most complete offerings currently on the market for large companies. Sometimes support could be quicker. On the other hand, users should make sure they create their Service Requests and tickets with all mandatory information. The more information you give, the quicker they can help you. No particular information was required before using, nothing I wish I knew before using it. 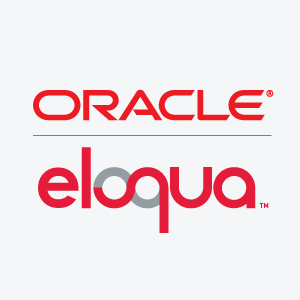 I attended multiple Eloqua trainings at Oracle and was well prepared. Eloqua provides a robust and fully complemented Marketing Automation Platform. Whatever you want to accomplish, you can find a way or with their support team, figure it out., Also handles effectively and efficiently and syncs with CRM platforms extremely well. The html creation interface for emails and landing pages leaves something to be desired. Usually I end up coding in Dreamweaver and copying and pasting my html into Eloqua. The Interface in html coding, might have tipped the tables another way. Eloqua obviously works well for Oracle customers/users. Unfortunately, it was a bit too robust for our use. Regardless, for those who need it, Eloqua has quite the horsepower for marketing professionals. We experienced some difficulty reaching customer service and the templates provided were a bit lacking. Eloqua is a Marketing Automation Platform that you grow into (and not our of). The adaptability to your specific business use cases and app cloud ecosystem allow you to extend the functionality beyond the standard featured set. The WYSWYG editor for creating emails and landing pages is just ok. Thankfully the new editor being released soon (early 2018) is quite swanky and offers significantly improved functionality and ease of use. I wish I had really understood the adaptability of the system. I was first a part of purchasing and rolling out Eloqua at a previous company. At the time we followed the typical approach. Our organization had some uniqueness’s that made the best practice not the most ideal for us and we had to change the way we were using the system quite a bit after a couple of years. Had our team realized that there wasn’t just one way of doing things it would have saved us some time later on. 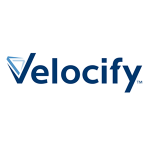 Provides an enterprise level CRM option with on premise or cloud options, that can handle large amounts of data. The ability to pull reports or lists for email campaigns or for the results of campaigns is quite intuitive and powerful. The main issue in the version we use, is that the HTML editor could be more user friendly. It isn’t hateful, but it isn’t my best friend either. The full scope of all options. There are some options that we went with, that aren’t exactly right, and a few others that we didn’t take, that probably in hindsight, would have been very beneficial. 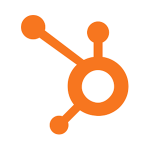 Want to Know the Top 10 Marketing Automation Software?